In order to buy and sell specific token pairs, you'll need to need unlock each token for trading. Toggle the Unlock switch for each token while in your wallet. 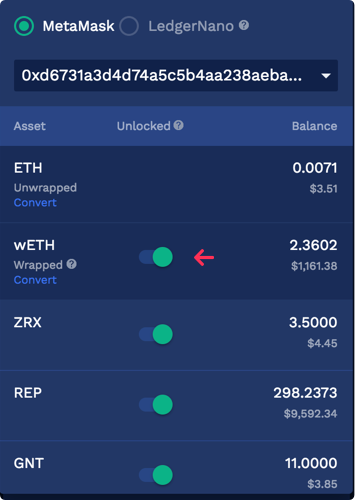 A MetaMask pop-up will ask you to confirm the change. Once you hit Submit, you can freely trade your tokens like any other exchange.